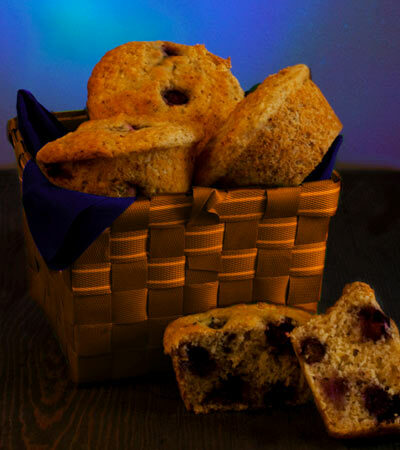 A delicious almost no-fat vegan muffin recipe. Want to know what others thought about this recipe? Would you like to comment on this recipe? Go to the Low-Fat Blueberry Muffins blog entry. In a medium sized mixing bowl place 1 cup of the flour, sugar, flaxseed, baking powder, salt and lemon pepper seasoning and mix together. In a small mixing bowl place blueberries, then add the tablespoon of flour, toss the flour with the blueberries together to coat them. In a coffee cup place milk, vanilla, vinegar, apple sauce and lemon zest, stir together. Pour the wet ingredients in with the dry and stir together with a spoon, don't mix too much or the muffins will come out tough. Next add the blueberries and lightly fold them into the batter. 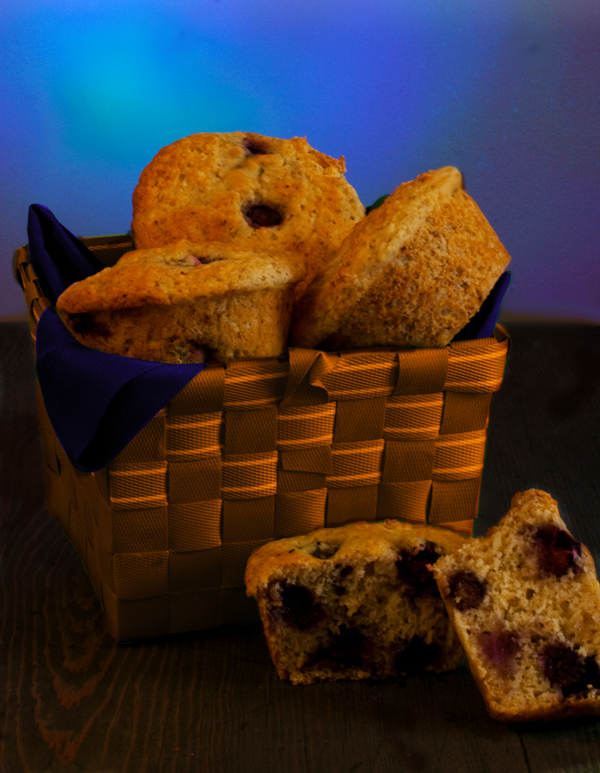 Spray or lightly wipe muffin tins with canola oil. Fill the muffin wells evenly. Place into the oven and cook 20 to 25 minutes or until lightly golden on top.